Ryley had a dance recital two weeks ago and we let her pick the restaurant after it was over. [Here is her super cute dance costume!] Her first choice was McDonalds [or old mcdonalds as she calls it], but that was quickly vetoed. We ended up going somewhere else because it has a nice outdoor patio with a play place for the kids. Which we all thought was a great idea. Well, everyone except Ryley. She had already had a meltdown in the car on the ride over to restaurant because I brought the wrong shoes. She didn’t want to wear her pink mary janes, she wanted to wear her flip flops. And man did she throw an epic fit to let us know it. Crying, sobbing, yelling at us that they were the wrong shoes and she didn’t like them. Once we got out of the car she suddenly forgot about her shoes. When we finally get to the patio and tell her go play, she refuses. I don’t know if she was still pouting because of the shoes or if she just didn’t want to go play. Either way, she sat at the table with us while Avery ran around and played. 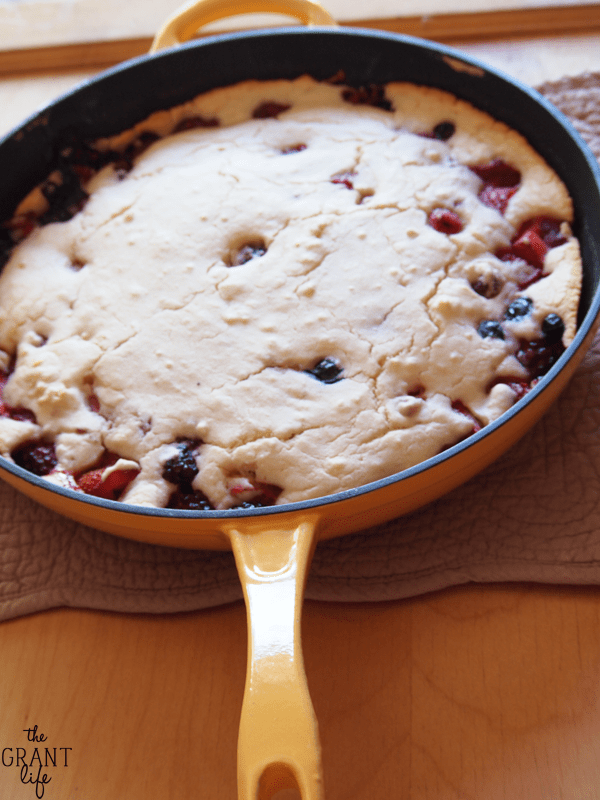 Ps.. to make this cobbler you need a batch of homemade Bisquick mix. Once you have that the rest is easy peasy no crying toddlers squeezy. 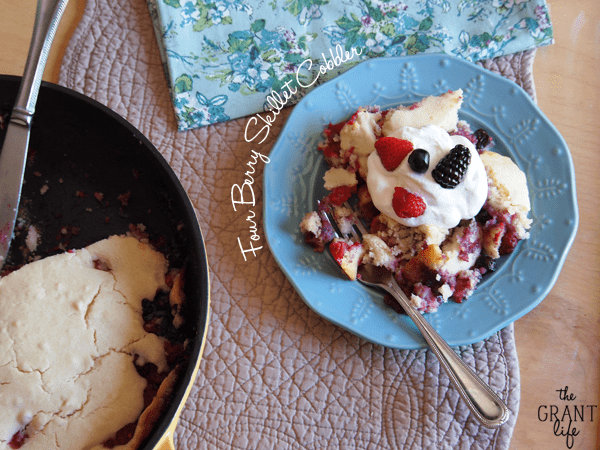 Pps.. make sure to whip up some homemade whipped cream to smoother the cobbler in. Preheat oven to 350 and place your skillet inside. Wash and pour all the berries in a bowl. Cover with the sugar and then pour the water over. Mix the milk and the homemade Bisquick together until smooth. Remove your skillet and cover the bottom and the sides with the butter. Pour half of the Bisquick batter in the skillet. Drain the berries and add them on top of the Bisquick mixture. Add the remaining Bisquick on top. Bake for about 30 minutes or until a toothpick comes out clean in the center. This looks REALLY yummy! Can you fill me in on the measurement for the water? 1/2 cup is my guess, but I don’t want to get it wrong! Thanks! 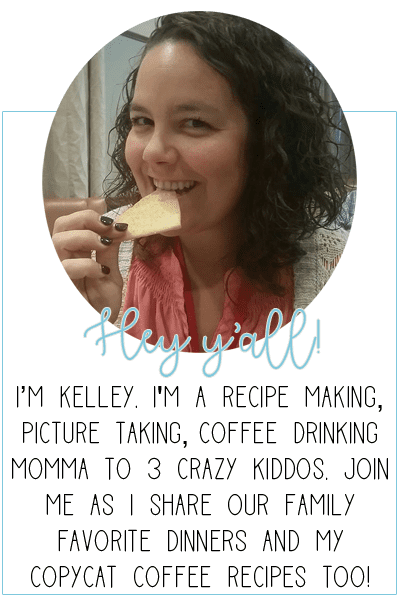 Kelley this looks absolutely scrumptious!!! 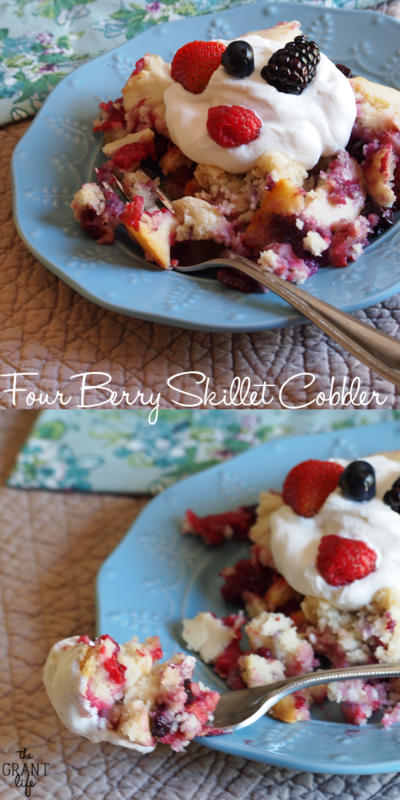 Love anything with berries in it, but 4 different kinds!!! OMG!!!! Can’t wait to try this! My problem is I don’t have an oven-proof skillet! What size casserole dish would you suggest? Thanks so much for all your great recipes!! Kelley, berries are just the best thing about summer! 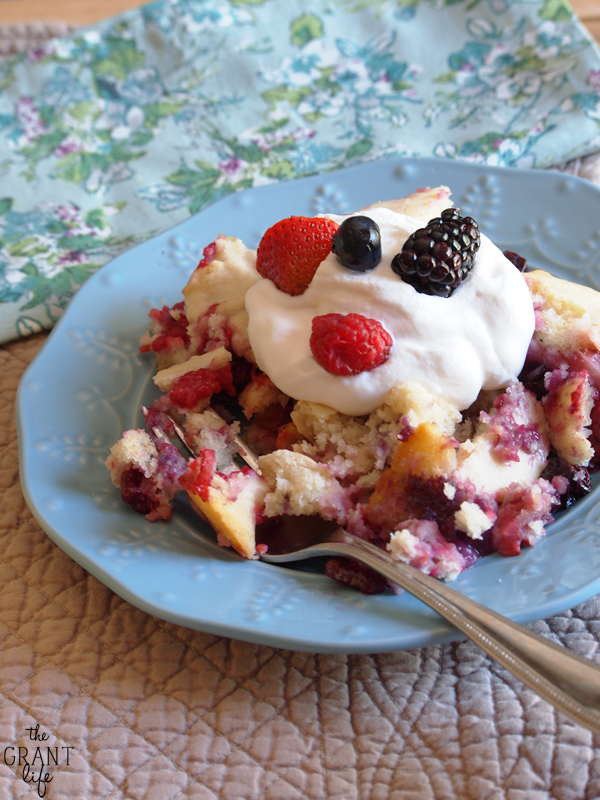 And I love a cobbler, whether it’s a pie crust, biscuit or cake one. Agree and agree! 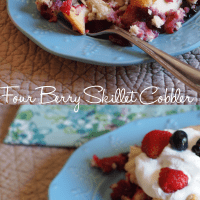 I love berries and toss them in a cobbler and Im all over it! Haha! Thanks so much Katina! I love World Market linens. I actually love world market everything! 🙂 And yup! Regular bisquick will work just fine! Hope you enjoy! May I please have the homemade Bisquick recipe? Thank you! Sure thing! Here ya go Debra – http://thegrantlife.com/homemade-bisquick-mix/ Enjoy!